Secure 2-point door seal and exxentric hinge ensure maximum gasket compression for stable chamber temperature. 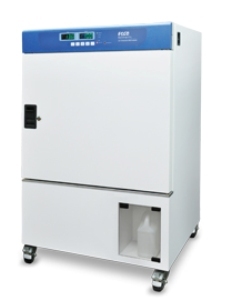 Auto-running disinfection after startup and during testing process as well, is adjustable to meet different requirements. UV light functions stops when door is opened and resumes after it is closed.